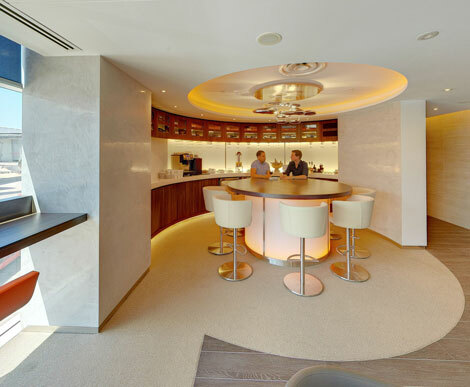 Skyteam has opened an Exclusive Lounge at Sydney airport. The lounge, which is the airline alliance’s third worldwide, has seating space for 140 people. It is available to Elite Plus, First and Business Class passengers flying on any of the seven Skyteam airlines serving the airport and will be managed by Plaza Premium on behalf of the alliance. Facilities include wifi access, an electrical socket by each seat, a business area with printer, a Champagne and wine bar, a wellness centre including showers and four full-body massage chairs, and a dedicated television room. Take a 360-degree tour of the lounge here. Skyteam will open a further three Executive Lounges this year, in Dubai, Beijing and Hong Kong. It currently has lounges in Istanbul and at London Heathrow T4. Michael Wisbrun, Skyteam’s managing director, said: “It is our duty to add value to our members’ businesses and, with seven Skyteam carriers present in Australia, we look to provide enhanced benefits through our customer initiatives such as this new lounge. “It is a great way to kick off our 15th anniversary year, with a new lounge delivering benefits for customers and synergies for members. Skyteam last month completed the roll-out of its Sky Priority service across more than 1,000 airports (see news, December 19). The facility provides eligible customers with dedicated check-in desks, priority boarding and baggage collection, and priority at transfer and ticket desks. It is available to Elite Plus, first and business class passengers.